On this eve of Thanksgiving, it's time to pause and think about the really important things in life. Family, friends, good health and good food. Or, if you're anything like me, it's time to consider what you will be watching on TV while you hide from the family you can't stand and try to retain your sanity and dignity while chaos breaks out around you. You need a plan of action. You need a strategy. You need a Netflix account. Fear not! Here is my patented list of shows and seasons you can watch in one day while locked away from the people you are regrettably blood related to. Why spend time with your flesh and blood family, when you can spend time with your TV family? Better than your REAL family! From the image above, you can quickly guess one of my first choices would be the Addams Family films. And, yes, they can be a little more Halloween than Thanksgiving, Addams Family Values has the absolutely fantastic part in a summer camp when Wednesday orchestrates a mutiny during a Thanksgiving pageant. It's a thing of beauty. If sci-fi is your thing, camp out and hide from your inlaws by watching all fourteen glorious episodes of the massively brilliant Firefly. Captain Mal Reynolds and his merry crew are the centerpiece of this awesome and criminally shortlived show. If you want something a little darker, there's always the gritty world of Battlestar Galactica to sink into. For ultimate family-ignoring, you can try watching Star Trek. All of it. From the beginning. Perhaps you want something a little more fun or you've been assigned the role of free childcare for the day. Sit your nieces and nephews down and watch some cartoons that won't make you want to tear your own hair out. The best cartoon on TV right now is the balls out insanity that is Adventure Time! This is also a great cartoon if you've already begun drinking. You may also find joy in My Little Pony: Friendship is Magic. Alienate your family and friends with these colorful fillies as they learn important life lessons. If all else fails, there is always Disney movies. 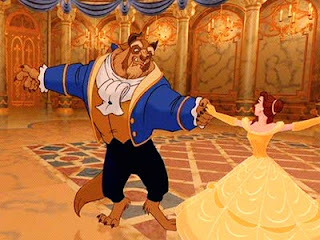 Reconnect with your own childhood while watching a woman with Stockholm Syndrome fall in love with a beast with a bitchin' library. If all else fails, it's time to rely on the BBC. Doctor Who and Sherlock are the best shows on TV right now, full stop. Both seasons of Sherlock can be watched in one day, while Doctor Who is a life long affair. Lastly, if you are forced to share your TV and couch with someone, go for crowd pleasing non-genre comedies like the hilarious Arrested Development. It will make you feel infinity better about your own messed up family. Old favorites like Friends and Boy Meets World are sure to be beloved by everyone in the room. If you're looking for something new, then Happy Endings and Community are your best bets. In fact, force everyone to watch Community, then tell them all to watch it when it comes back on the air. Recruit your unsuspecting family. It's what Jeff Winger would want you to do. Six seasons and a movie! If things are really coming apart at the seams and your family is ready to reenact the war of the roses, it's time to pull out the big guns. Mel Brooks movies like The Young Frankenstein, History of the World: Part One and Robin Hood: Men In Tights will make even the most cold hearted person laugh and the fabulous comedy It's A Mad, Mad, Mad, Mad World will put your crazy, insane, bizarre day into perspective. Together, with the help of fictional characters, we can survive this holiday. May the pumpkin pie be with you.